The mission of Currey Ingram Academy is to provide an exemplary K-12 day school program that empowers students with learning differences to achieve their fullest potential. Currey Ingram Academy was founded as Westminster School of Nashville in 1968 and was housed in Westminster Presbyterian Church for 34 years. Thanks to a lead gift from alumni parents Stephanie Currey Ingram and John Rivers Ingram, the school moved to its current 83-acre campus in 2002. 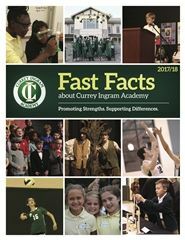 In recent years, students have enrolled from more than 33 states and eight foreign countries, their families citing Currey Ingram Academy as a major reason for their move to Middle Tennessee. - 2012: USTA Tennessee's "Educational Merit Award of 2012"
Carol and Bobby Henderson ask Westminster Presbyterian Church leaders to provide space for an innovative educational program for their son, Britt. A planning committee of church members, community professionals, and public school officials develop a model for the class. Westminster School of Nashville is founded with an inaugural class of eight students. Thanks, in part, to the efforts of parent Ann Riley Miller Wingard and her family, the school forges a relationship with Vanderbilt University’s Peabody College of Education and Human Development for internships and research and hires Barbara D. Gregg as its new director (following its original director, Sue Hasham, who moved away from Nashville in late 1969). An advisory board of local professionals, parents, and church members is formed and continues today as an independent Board of Trustees. Computers are introduced as teaching aids. The school is named a Blue Ribbon School of Excellence by the U.S. Department of Education. Kathy Rayburn becomes Head of Westminster School. On May 14th, the school holds an official groundbreaking ceremony on 83 acres in Brentwood, Tennessee, just south of Nashville. 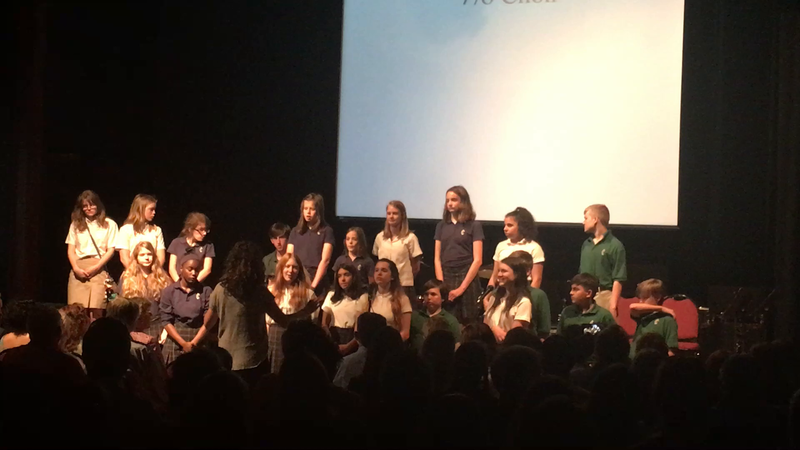 Apple Computers designates Currey Ingram Academy as an Apple Showcase School. Westminster School of Nashville officially becomes Currey Ingram Academy. In August, Currey Ingram Academy opens its 2002-03 school year at its new campus. A lower school building (John Rivers Ingram Hall) opens for grades K-4. The school's first class of seniors begins classes in August; now, Currey Ingram Academy is a K-12 school. The school graduates its first class of seniors, a group of nine students, in May. 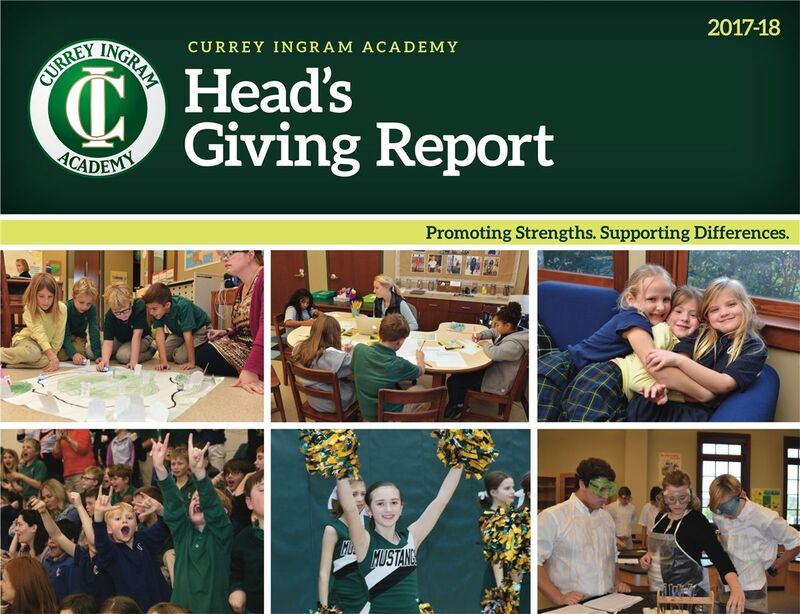 In September, Currey Ingram reaches a record K-12 enrollment. The school breaks ground on Jim and Jan Carell Hall, Currey Ingram's new Upper School building (to be completed in Spring 2009). The school opens Jim and Jan Carell Hall, Currey Ingram's first-ever Upper School building. The athletic facility expands and is named The Jan Carell Field House. The facility includes a dining hall; The Frist Gymnasium, the previously existing performance gym; The Mustang Gymnasium, a new 7,400-square-foot practice gym; Jan and Randy Short Strength and Conditioning Center, a new weight and workout room; and Jeffrey Kuhn Field, the previously existing football/soccer field. Five brand-new tennis courts between Jeffrey Kuhn Field and Crocker Field were added to the campus. The school breaks ground on Jennifer & Billy Frist Hall, a new administrative and student center building that will house a dining hall for grades 5-12 and the school's first central library and media center, as well as all core administrative offices. Frist Hall is set to open in August 2013. Effective June 30, Kathy Rayburn retires as Head of School after 18 years of service. Paul Wenninger is named Interim Head of School for one year while the Board of Trust conducts a national search for a permanent Head to begin on July 1, 2014. The school opens Jennifer & Billy Frist Hall. This facility is the new student center that houses the school's first central library and media center, a dining hall for grades 5-12 and includes a new adminstrative wing. Dr. Jeffrey Mitchell is named Head of School, effective July 1. The school is the first independent school in the nation to receive the National Center for Learning Disabilities (NCLD) Rozelle Founders Award.